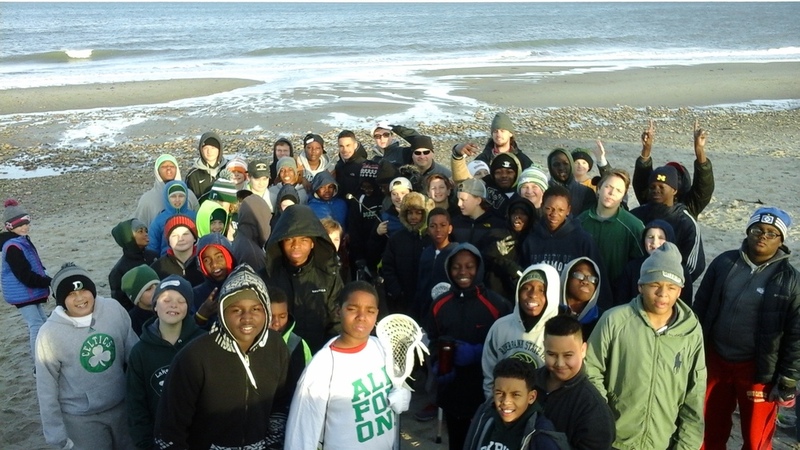 The 2nd Annual Harlem Lacrosse-Duxbury One Nation Weekend Trip brought 30 plus student-athletes from P.S. 76 A. Philip Randolph with 15 families from the Duxbury Lacrosse Community for a weekend of bonding, community service, and lacrosse. The Tigers of P.S. 76 arrived in Duxbury on Friday night at the “Duxplex,” Duxbury's state-of-the-art indoor turf facility, where they were warmly greeted by families. The students and their host families ate a barbecue dinner and played on the turf before heading home. 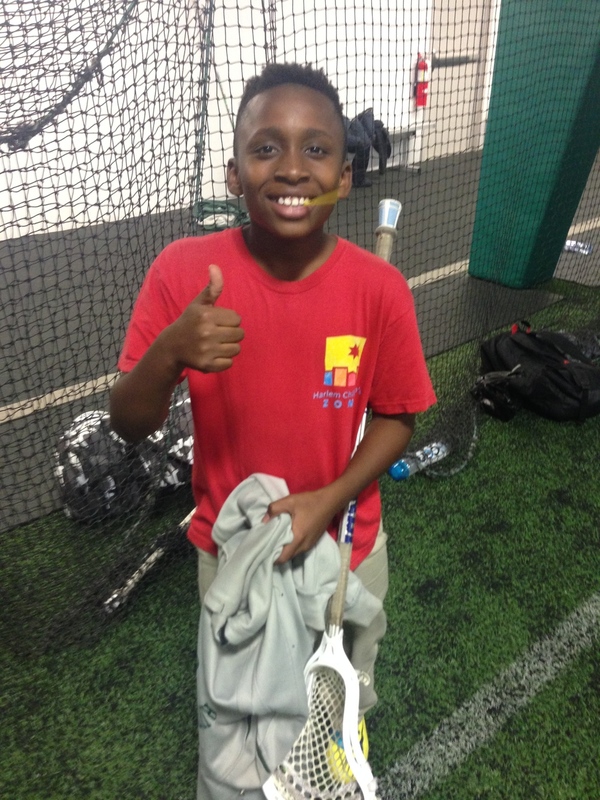 On Saturday morning, Duxbury coaches ran a full lacrosse practice at the “Duxplex” which ended with some highly anticipated lacrosse dodgeball (using tennis balls) with Duxbury and Harlem players on both sides! After practice, the group visited Duxbury High School where they played basketball, ate pizza and had a raffle for new equipment and gear! This was followed by a community clean-up of Duxbury Beach and a bonfire with S’mores, football toss, and lacrosse catch! After a final night with their families, the 76 Boys competed in the One Nation Lacrosse Tournament at Lincoln-Sudbury High School in Sudbury, MA. The Tigers represented well and had a great tournament, with four 76 players receiving the Sportsmanship Award in the final ceremony. After the tournament, the Tigers said goodbye to their families and boarded the bus back to Harlem, exhausted from another successful One Nation weekend. A huge thanks to Jeff Bernier for organizing the entire weekend, as well as Matt Walsh, Duxbury Youth Lacrosse, and all the wonderful Duxbury families for hosting such a transformative weekend for our student-athletes!